Sears is one of my favorite places to go when I need to get any kind of mechincal type maintenance done on my car. 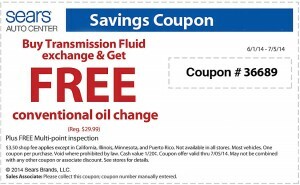 Over the years they have given me some of the cheapest oil change coupons and have provided excellent service. 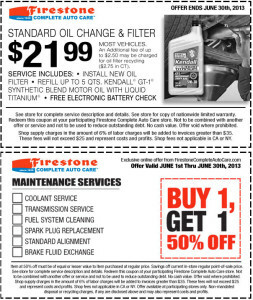 Only once have I ever had to wait a long time for a Sears oil change. They are usually pretty quick with getting you in, changing your oil, and getting you on your way. 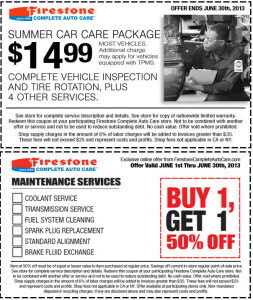 They have plenty of other services available at all locations like tire installation, tire rotation, full tune ups, repairs, brakes, etc. 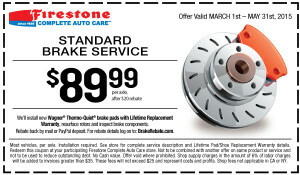 Deal ends May 2, 2015 – Print the coupon now. 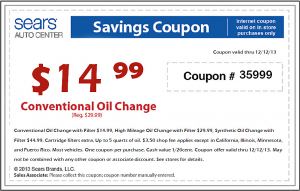 Deal ends October 3, 2014 – Print the coupon now. 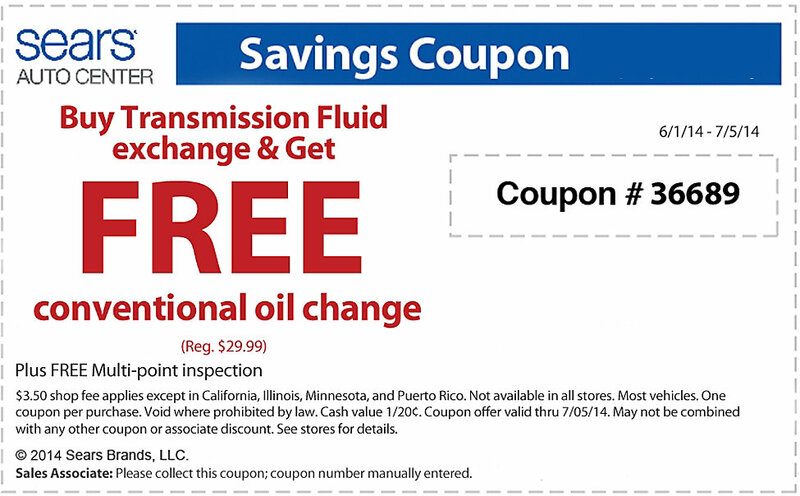 Deal ends July 5, 2014 – Print the coupon now. Up To $15 Back By Mail. 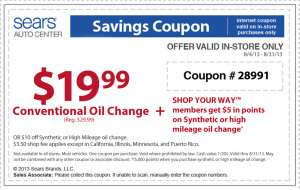 This is the cheapest oil change coupon I have ever seen from Sears, beating out the $17.99 discount they used to give pretty often. *Up to 5 quarts of oil. 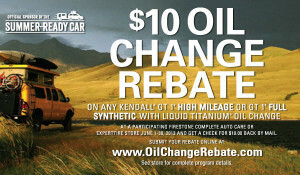 Or $10 off Synthetic or High Mileage oil change. $3.50 shop fee applies except CA, IL, MN, PR. 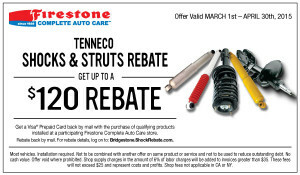 Deal ends October 5, 2013 – Print the coupon now. 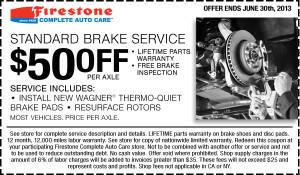 Deal ends October 31, 2013 – Print the coupon now. 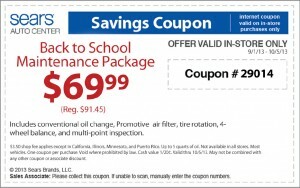 Every month Sears has a new coupon available for oil changes, brake services, tires and plenty of other preventative maintenance offers. 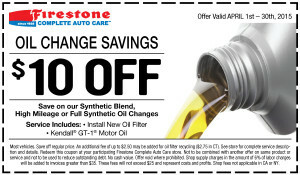 Using the coupon below, the oil change prices are much more competitive than without. 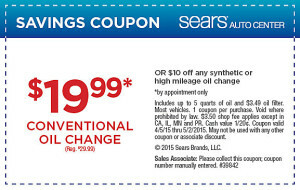 The typical price for an oil change at Sears without discounts is $29.99. It usually goes under $20 when you use one of the deals below. 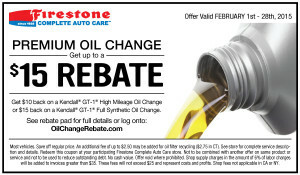 You can pay for and schedule your oil change appointment online in the Sears Auto sales page. This is a convenient way to get rid of the hassles of having a sales person try to sell you on other services that you really do not need. We have all dealt with that at one point or another unfortunately.